A trip to the South West Snooker Academy, Gloucester. 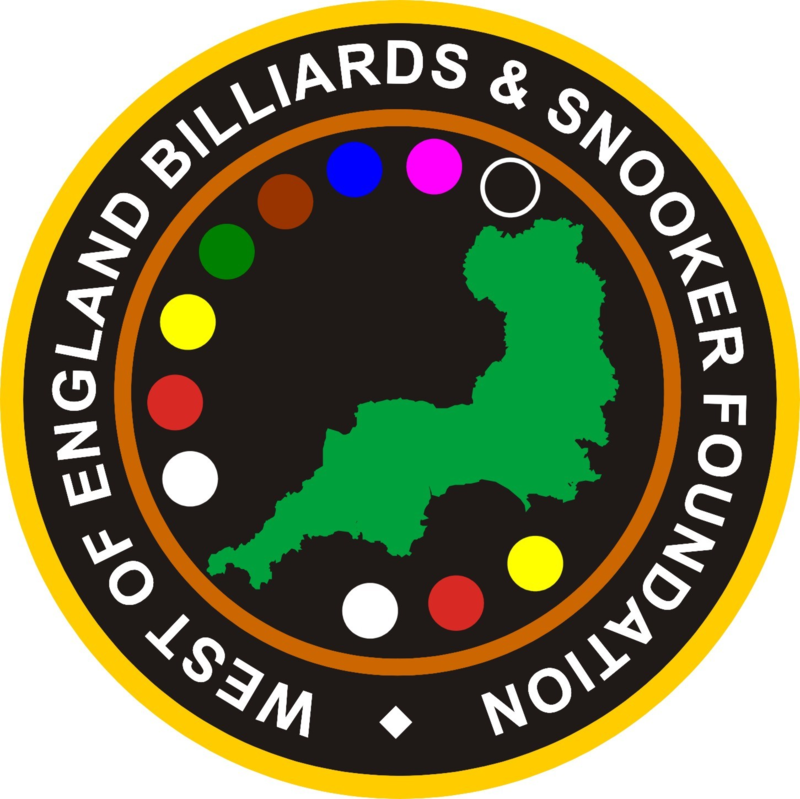 saw Dale Branton, from Plymouth start slowly only to improve as the day progressed to beat Paul Standen from Braunton in the final to take event 4 of the WEBSF Gold Waistcoat Tour. Once again Standen was in excellent form posting the best break of the day a fine 104 clearance to take the break prize. Click here for more details of this event and the Gold Waistcoat Tour. Thanks to all at the SWSA, Gloucester who made everyone welcome and provided sponsorship for the event. A special mention for EASB Referee Nick Harry for his exceptional show of stamina to officiate for over 13 hours on the day! Well done Chris Coumbe from Plymouth who is off to Bangor, Northern Ireland next weekend to play for the England Under 19’s in the EABA Kingsman Cup. Chris will provide us with an article of his experience on his return. We wish him well. Unfortunately due to bad weather on the day Chris was due to fly to Ireland his flight was cancelled. WMC storm into second place aided by a massive six bonus points. For all the latest news from Seaton Snooker League click here. Nathanael Beckrich beat fellow South West Snooker Academy overseas visitor Alex Ursenbacher in Silver Waistcoat event four at the Academy. Haydon Pinhey still heads up the overall rankings with just two more events remaining. Click here for a report and more details. Thanks to all at the SWSA, Gloucester who made everyone welcome and sponsored the event. A special mention for EASB Referees Nick Harry and Steve Brookshaw for their excellent refereeing throughout the day. All the latest news from Seaton Snooker League. Click here to get to the Seaton League Home Page. The group stage format currently stands at 3 groups of 5 and 1 group of 4 players playing the best of 3 frames against each player in the group. The knock-out stage format will be determined by the number of qualifiers from the group stage and time available. WEBSF tournament rules apply, please familiarize yourself with them Silver Waistcoat Tour, Tournament Structure & Rules.